Looking for something to buy all of those couples that got engaged over the holiday season? How about some Wedding Cake Vodka. 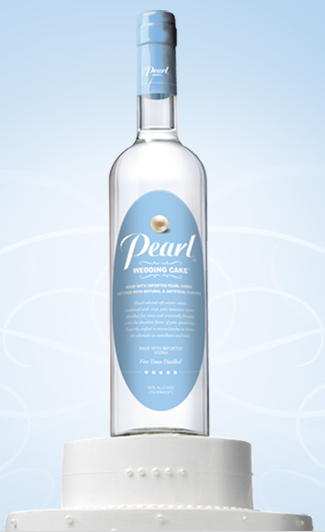 From Pearl, the makers of a number of vodka’s comes this sweet spirit with an adorable name. And with all of those annoying decisions during the wedding planning process, your friends will need the booze. Maybe couples can forgo the cake and just do a shot! Oh and speaking of shots, I've also heard of a cool wedding tradition. The bride and groom get two shot glasses. They don't know it, but one has vodka, one has water. Whoever gets the vodka gets the upper hand in the marriage.You can probably do this with tequila (or any white spirit) too!